Kinglets are small passerines (songbirds) that are found in North America, Europe, Africa and Asia. They are called kinglet because all seven species have a crest or crown. There are two species of kinglets in North America, the golden-crowned kinglet, pictured above, and the ruby-crowned kinglet, pictured below. 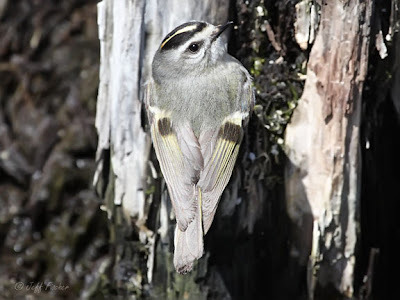 The golden-crowned is similar in appearance to the goldcrest kinglet which is found in Europe and Asia. 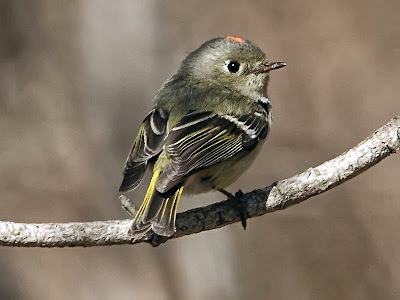 The ruby-crowned kinglet is the largest of all species of kinglets. The ruby crown is often not visible, usually depending on the mood of the bird. This may be because it is the only kinglets whose crown is not lined with black. Both species of North American kinglets breed mainly across northern Canada, although some birds also breed along the northern Atlantic and Pacific coasts of the US, and in the Rocky Mountain region. 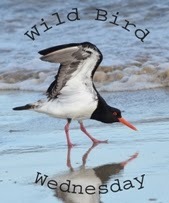 Most of these birds migrate to the US and northern Mexico for the winter. How beautiful! I've always wanted to see a kinglet. I almost didn't see the crown on your photo. It is easily missed. They're the sweetest little things. Oh gosh, aren't they sweet! HI Jeff That is a very sturdy looking fellow. BEAUTIFUL!!! Love these guys and they are so quick at what they do, hard to get these kinds of awesome captures!